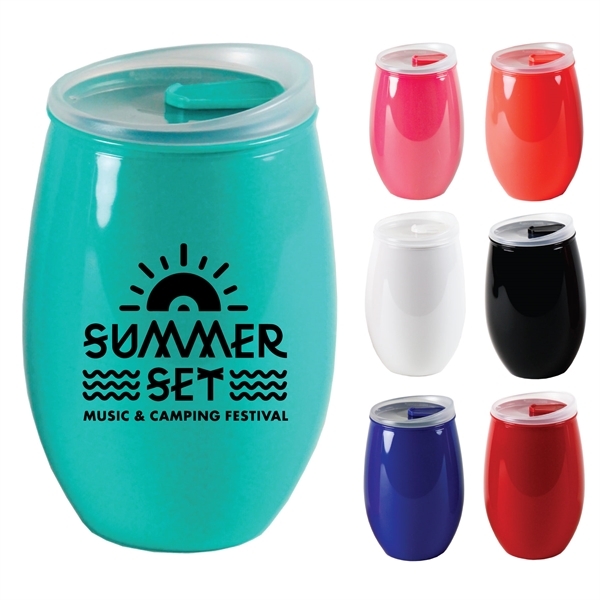 Looking for a cool item to give out to represent your company at the next event? 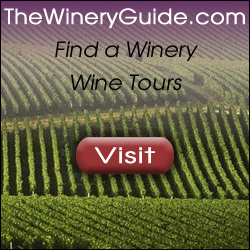 This stainless stemless wine glass will make a great impressions. 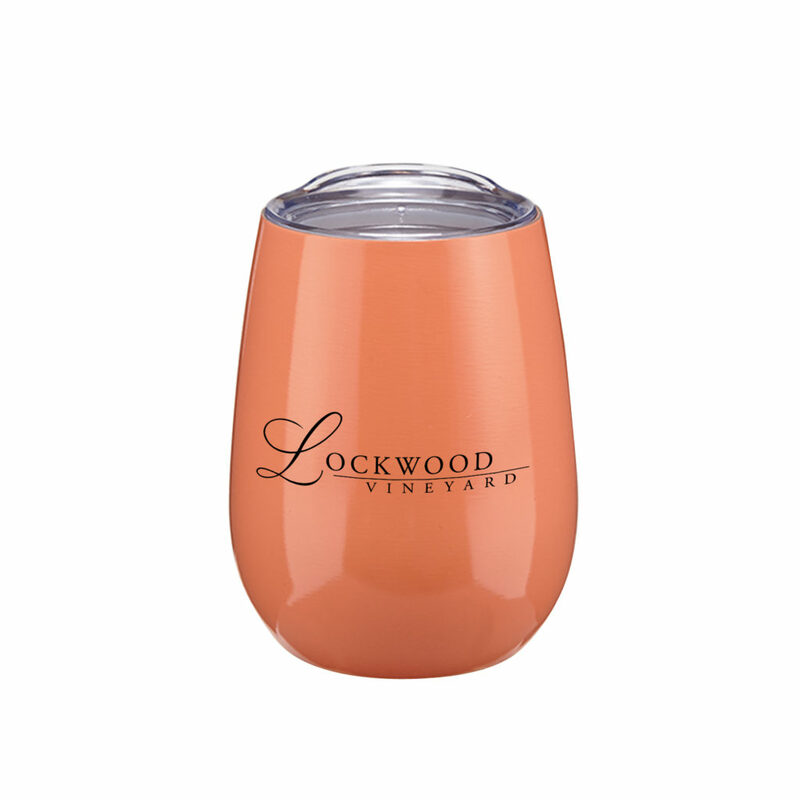 With double wall construction, this 10 oz glass features a sip through lid. 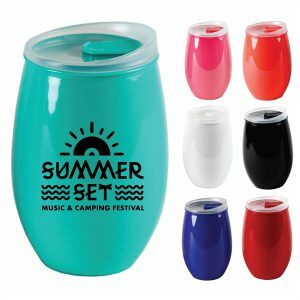 Keeps cold drinks cold for up to 6 hours. BPA free and meets FDA requirements. Hand wash recommended. Avail in coral, black, white, sea foam or sky blue. Imprint area is 1 1/2″ H x 3″ W. Min is 72 pieces at 9.45 ea. Set up is 55.00. Item 4775.